Lured by lantern light against the dark woods and even darker river, at least four types of furiously just-hatched caddis changed the game. “You’re on,” I said, and of course that made the evening so much better. As if anything could top a campsite by the West Branch of Penobscot River with the noise of rapids and owls in our ears, a river-cooled bottle of wine, and proof the river was so clean and vital, caddis were falling over themselves to hatch and start the next generation. This winter researching my next novel, I spent some time on caddis flies, thinking about what one might say—if it could talk. I found a video of one making his way from larval stage to pupal stage under the guidance of an artist who had a great idea. Check out the video and see the caddis as artist. And here’s the caddis conversation from my novel DEADLY TURN (due out this fall). The narrator Patton and the game warden Moz are using masks to see a stream under water. I pulled off my boots and T-shirt, tightened my pony tail, hitched up my shorts, and waded after Moz. No ripples parted the water as he waded, not even when he lowered his mask and slid down to float on the surface. I slid my feet over pebbles, imitating his stealth moves. An unseen current tugged my legs, but I lowered my mask, sank to a floating position, and anchored my hands below in stream gravel. We were floating on the thin film that divides the fish world from the human world. I could feel hot air on my rear end, but every other part of me was cool. Hairs on my arms floated like tiny filaments seeking microscopic food. Rotating my head only slightly, I could breathe and then return to the wet, green world. The water was so clear I could see every grain of sand and cloud shapes as they shadowed rocks and drifted on. In slow motion, Moz turned over rocks, lifting tiny things into the current. Soon they were bumping off my mask and I could recognize them. When I smiled, escaping air bubbles bounced the stonefly larvae toward shore. Their shelled segments arched in the effort to find new rock homes for their waving legs. Something glittered and I held out a finger to snag it. Not much bigger than an inch, a future caddis fly had woven a hard pupa case around his larval self. This one must have been an artist because it had chosen tiny pebbles with bright mica flakes and glued them together to make a private cave. The creature inside waited to hatch out as a winged insect and feed fish—if it lived. Caddis have short lives. The stream’s current rotated the pupa into my open hand. Tiny wings vibrated inside. Time. Is it time? I turned the pupa toward the end that looked like it could open. For what? Time to become what I am supposed to be. A different kind of bug? My wings are pushing against the wall. I ache. Someday you’ll fly. I imagine it will feel great. Pick a windy day. Fish have a hard time feeding when the water ripples. Maybe your hard shell will fall off one day. You know? The secret one? I tucked the pupa next to a protective rock, thinking it sounded like the therapist I’d seen since my divorce. For years I’d casted artificial dry flies into ponds, and streams, and rivers, but never seen how real insects lure real trout. Apparently, my head needed to be underwater. Two brook trout glided from rocks near shore, darting after the floating larvae, rolling their white bellies over to signal the chase. Slowly Moz reached for his net. I didn’t actually see how he caught both trout in one swipe, but as we stood, they thrashed in his net. I send Danny’s Maine Guide Fly Shop flies into the headwaters of the Kennebec River. And we always return the fish, alive, to their homes. Thank you, Danny! Helping teach Shannon LeRoy’s AMC class. I’m red shirt, in the back, second from left. Fly Fishing Women? The Maine AMC offers a women’s class in the perfect learning environment: inspired teachers, rustic camps, mellow ponds, and a trout stream to tie it all together. 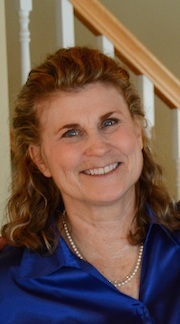 Sandy’s novel, “Deadly Trespass, A Mystery in Maine,” won a national Mystery Writers of America award, was a finalist in the Women’s Fiction Writers Association “Rising Star” contest, and she’s been a finalist for a Maine Literary Award. Find her novel at all Shermans Books and on Amazon. Find more info on the video trailer and Sandy’s website. The second Mystery in Maine, “Deadly Turn,” will be published in 2019. Next week at Maine Crime Writers, there will be posts by Brenda Buchanan (Monday), Barb Ross (Tuesday) Susan Vaughan (Wednesday) Sandra Neily (Thursday), and MaureenMilliken (Friday). Bruce Robert Coffin will be at the Stroudwater Lodge in Westbrook, Maine on Friday, April 19th at 3 PM, reading from his Agatha nominated novel Beyond the Truth. Stephanie Gayle, Bruce Robert Coffin, and James Ziskin at the Jesup Library. Kaitlyn Dunnett/Kathy Lynn Emerson here, today on a mini-rant about a pet peeve that’s bothered me for some time now. I know it’s the accepted thing not to worry about accurate typing when it comes to emails and social media posts. For one thing, it’s so easy to blame mistakes on autocorrect. But what professional writers send out into cyberspace has the potential to stay there forever, warts and all. Do you really want an infinite number of people, most of them total strangers, even if they are your “friends” on Facebook, reading posts with your name on them and wondering if the books you write are just as slipshod when it comes to spelling, grammar, and usage? And that’s not even taking into account the impression readers may get if you’ve accidentally left out a key word. A missing not can make it seem as if you’re saying exactly the opposite of what you intended. Word choice is important, too. Even smaller mini-rant: I refer to myself and others who write books and short stories as writers rather than authors. Yes, I am the author of many books, but I didn’t “auth” them. I wrote them. I also write emails, blog posts, and Facebook posts and comments. I proofread all of them before I send or post, and I read them again after they are published and make corrections if it turns out I missed a typo. Sometimes mistakes still sneak in, but I try very hard to catch them all before anyone else sees them. I think of that as part of my job as a writer, just as it’s my job to try to catch and correct all errors in a manuscript before I submit it to my editor. I may not find them all, but if I’m going to call myself a professional, I’m obliged to do my best, just as I do my best to invent interesting characters, create a gripping plot, and put it all together in a way that will keep readers turning the pages. I don’t know what’s being taught in schools these days, but there was a time when “English” class included learning how sentences are constructed, the rules of punctuation, grammar, usage, and spelling, and how to write essays (even if nowadays it’s called blogging). I have no problem with casually breaking rules in spoken English, but once I put something in writing, especially in a public forum where it can be easily misinterpreted and could well go viral, then I believe I have an obligation to do my best. If I’m going to list “writer” as my profession, then whatever I write, no matter when, no matter where, should be as accurate as I can make it. Yes, even private email. To my fellow professional writers, I have this to say: it’s not all that hard or time consuming to proofread, revise if necessary, and make sure you end up saying exactly what you intended. If nothing else, think about the legacy you’re leaving for posterity. One careless covfefe could live on long after every book you’ve ever written has faded from memory. With the June 2019 publication of Clause & Effect, Kathy Lynn Emerson/Kaitlyn Dunnett will have had sixty books traditionally published. She won the Agatha Award and was an Anthony and Macavity finalist for best mystery nonfiction of 2008 for How to Write Killer Historical Mysteries and was an Agatha Award finalist in 2015 in the best mystery short story category. She was the Malice Domestic Guest of Honor in 2014. 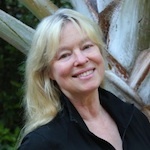 Currently she writes the contemporary Liss MacCrimmon Mysteries and the “Deadly Edits” series as Kaitlyn. As Kathy, her most recent book is a collection of short stories, Different Times, Different Crimes. 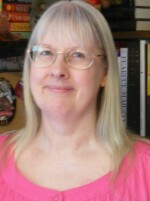 Her websites are www.KaitlynDunnett.com and www.KathyLynnEmerson.com and she maintains a website about women who lived in England between 1485 and 1603 at A Who’s Who of Tudor Women.